In the period from September 18-22, 2011 N.I. Vavilov Research Institute of Plant Industry conducted at the Kuban experiment station a workshop entitled: “Development and management of Plant Genetic Resources databases” with support of the Global Crop Diversity Trust. 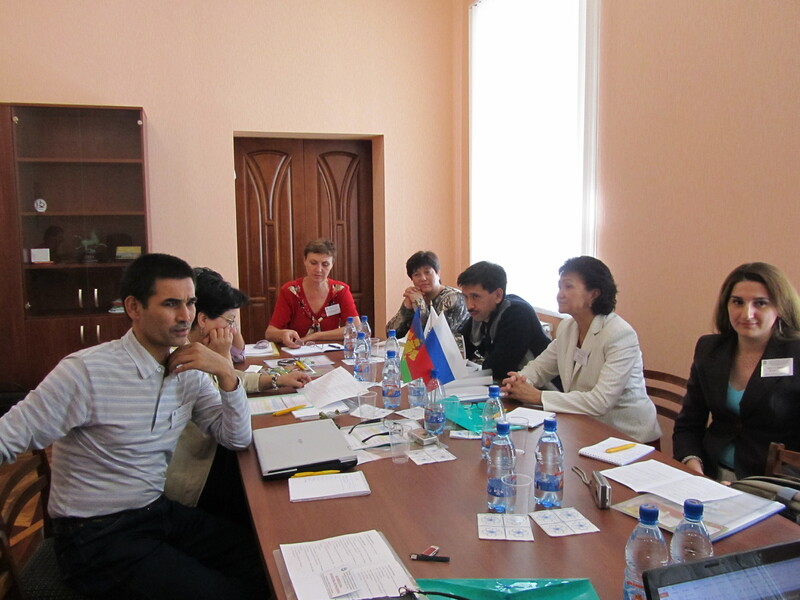 The workshop was attended by representatives of seven scientific institutions of the CIS: Armenia, Azerbaijan, Kazakhstan, Tajikistan, Uzbekistan, Ukraine and Russia. Attendees of the workshop got acquainted with methods of database development, database management and analysis designed for facilitated use of germaplasm in the development of new varieties. The workshop provided practical sessions addressing development, management and maintenance of passport and evaluation databases. All participants of the workshop got brief manuals on development and management of databases as well as tutorials of the delivered lectures. The knowledge and skills gained at the workshop will assist specialists of breeding centers in development a uniform All-Russian database of Plant Genetic Resources. During the workshop participants had an opportunity to get acquainted with activities conducted at the Kuban experiment station aimed at study, preservation and reproduction of VIR`s world collection, they also visited trial fields and Kuban genebank with access to the underground long-term storage. Upon workshop completion each participant got a special certificate.